This fully revised fourth edition presents four theoretical perspectives on identity development during adolescence and young adulthood and their practical implications for intervention. Kroger and Ferrer-Wreder consider adolescent identity development as the unique intersection of social and cultural forces in combination with individual factors that each theoretical model stresses in attempting to understand the identity formation process for contemporary adolescents. 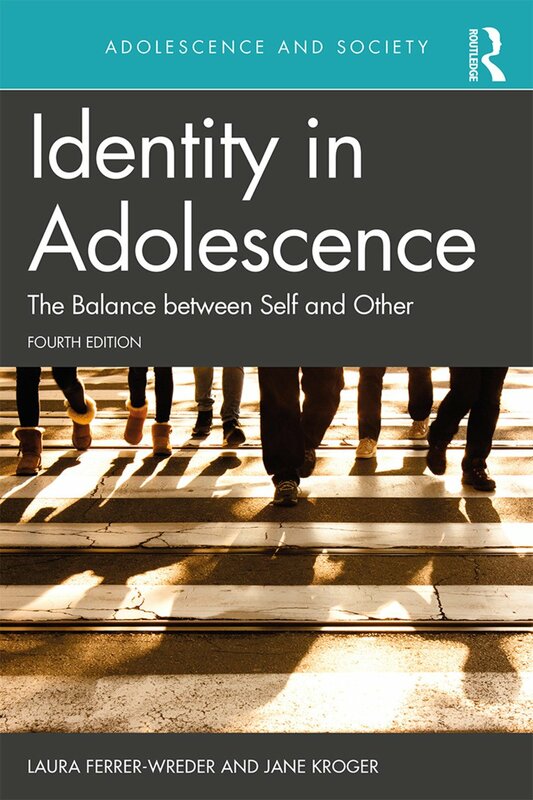 Identity in Adolescence: The Balance Between Self and Other, 4th ed. addresses the complex question of how adolescent identity forms and develops during adolescence and young adulthood and serves as the foundation for entering adult life. The book is unique in its presentation of four selected models that address this process, along with cutting-edge research and the implications that each of these models each holds for practical interventions. This new edition has comprehensively revised, with five completely new chapters and three that have been extensively updated. New special topics are also addressed, including ethnic, sexual, and gender identity development, the role of technology in adolescent identity development, and ongoing identity development beyond adolescence. Identity in Adolescence: The Balance Between Self and Other, 4th ed is essential reading for advanced undergraduate and graduate students studying adolescent development, self and social identity within developmental psychology, social psychology and clinical psychology, as well as practitioners in the fields of child welfare and mental health services, social work, youth and community work and counselling. Chapter 8: Identity beyond adolescence: What comes next? Laura Ferrer-Wreder, Ph.D., is a Docent (Associate Professor) in the Department of Psychology at Stockholm University. She has published widely and her current research focuses on advancing the study of positive youth development from a global perspective. She is one of the co-developers of an identity intervention called the Changing Lives Program. Jane Kroger, PhD, is Professor Emerita of Developmental Psychology at University of Tromsø, Norway. Previous books include Identity Development: Adolescence through Adulthood and Discussions on Ego Identity, along with numerous research investigations on identity development during adolescence and adulthood. In the 20 years since it began, this series has published some of the key texts in the field of adolescent studies. The series has covered a very wide range of subjects, almost all of them being of central concern to students, researchers and practitioners. A mark of its success is that a number of books have gone to second and third editions, illustrating its popularity and reputation. The primary aim of the series is to make accessible to the widest possible readership important and topical evidence relating to adolescent development. Much of this material is published in relatively inaccessible professional journals, and the objective of the books has been to summarise, review and place in context current work in the field, so as to interest and engage both an undergraduate and a professional audience. The intention of the authors is to raise the profile of adolescent studies among professionals and in institutions of higher education. By publishing relatively short, readable books on topics of current interest to do with youth and society, the series makes people more aware of the relevance of the subject of adolescence to a wide range of social concerns. The books do not put forward any one theoretical viewpoint. The authors outline the most prominent theories in the field and include a balanced and critical assessment of each of these. Whilst some of the books may have a clinical or applied slant, the majority concentrate on normal development. The readership rests primarily in two major areas: the undergraduate market, particularly in the fields of psychology, sociology and education; and the professional training market, with particular emphasis on social work, clinical and educational psychology, counselling, youth work, nursing and teacher training.